You must make reservations at least 5 minutes in advance of the time at Palomino - San Francisco. Lunch: Daily 11:15am-3pm Dinner: Sun-Thurs 5pm-9pm Fri-Sat 5pm-10pm Brunch: Saturday & Sunday 11am-3pm Bar: Mon-Thurs 11:15am-10pm Fri 11:15am-11pm Sat 11am-11pm Sun 11am-10pm Happy Hour: Daily 3pm-close NOTE: Happy Hour in Bar Only. Not available on holidays. Hills Plaza Garage: weekdays: park in the garage between 11am and 2pm to get $2 rate for 3 hours. Park in the garage after 5pm to get 3 hours free! Weekend: 3 hours free any time. Street parking also available. Palomino can host 8 to 30 people with pre-selected menus for parties of 12 or more. Special accommodations can be made, please inquire. Palomino has a spirited and upbeat atmosphere. They offer Pacific European fare of Rotisserie grilled meats and seafood. Palomino has a STELLAR view of the Bay Bridge and a fantastic outdoor patio!! ***Please note the patio and lounge are all open seating after 3 pm. Reservations are for the dining room only. roasted crimini mushrooms, sweet marsala sauce, fresh spaghetti "aglio e olio"
housemade San Marzano marinara, fresh housemade mozzarella, Parmigiano Reggiano, fresh spaghetti "aglio e olio"
Although the service was slow and the pizza was a tad greasy, the ambience was nice. We arrived 1/2 hr. early after a day at the SF Giants game (we one!). We were told we would have to wait, but no real suggestions were made. We could have eaten @ the 'Bistro Bar' .... ? I had to go to the front desk 3 times to see if our table was ready after the 1/2 hr. mark. The rest. opened @ 5:00 P.M. , we did not know this thinking if we get there early we will go right in. There were only 2 other tables, no real reason for a delay? Both hostesses seemed unfriendly and unprofessional, like they were bothered. The server Grant made up for this with his professionalism. However we did have to ask for bread which is generally a starter staple. One of my most favorite restaurants with great food and a beautiful view of Bay Bridge. Awesome restaurant and a great place for a group. We loved the food choices as well as the creative drinks that they served. The view of the bay bridge was really nice. Food was ok. Waiter was nice and efficient. Restaurant was not vibrant and energy level low. Great food and our waiter was really friendly and helpful. A very pleasant atmosphere to enjoy a weekend brunch with friends and a view of the Bay Bridge. The menu selection was excellent to accommodate many tastebuds. Service was attentive. We all enjoyed our selections, mine was the classic eggs benedict with a different twist. Food was nice and hot as we requested. Server most pleasant. Came here with a group of friends. The staff accommodated our special request for a round table, and were very patient with us when the number of people in our party changed twice. Then, at the lunch, we got wonderful service and terrific food. Can’t beat the gorgeous view of the Bay Bridge! The darker it got, the more mesmerizing were the lights. Our waiter was more attentive than any other time I visited Palomino. The Palomino Martini was perfection with the blue cheese-stuffed olives and Sapphire gin with barely a breath of vermouth. Two of us shared a yummy thin artisan pizza as a starter. 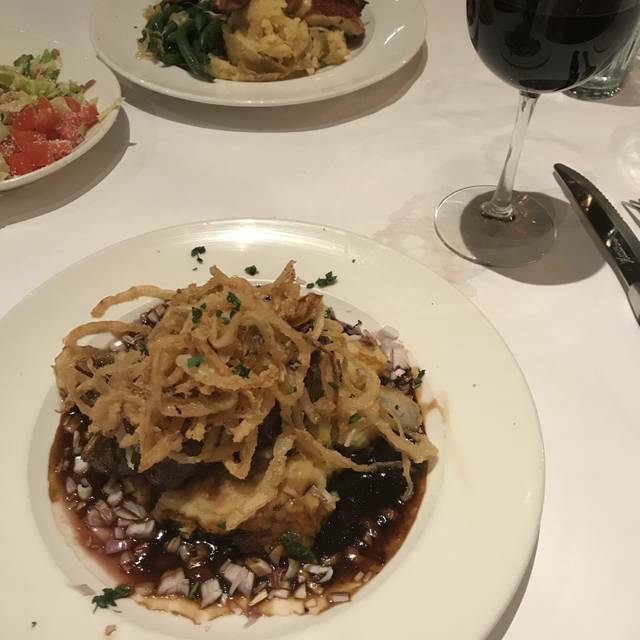 We enjoyed our entrees of scallops and of the beef pappardelle pasta dish, as well. The only negative: they were all out of sorbets for dessert. Can’t beat plenty of parking indoor on St Patrick’s Day evening in San Francisco, especially 3 hours free with validation! Wonderful service by the waitress and the food was amazing. Can't beat the view of the bridge at night, would definitely recommend going here! The price is a tad high, but it's definitely worth it for a special occasion! One of us ordered a salmon that had to be sent back because it was over cooked. The burger she got to replace it was good, and the restaurant was accommodating about the problem, taking the salmon off the bill. Service was friendly and the place was lively. My chicken was good enough to eat but nothing special. Another lovely dinner at Palomino. We had the same waiter, Grant, that we had in January. He is fantastic! WIll return again and ask for Grant. Delicious and we were there for a long time! Had a dinner out with my fiancé and hand a wonderful time! Would definitely come again! View of the bridge was amazing from our table. It got a little loud towards the end but overall experience was great! With so many great restaurants in the city, I do not know why they still exist. The food is quite mediocre to say the least. The Water Bar across the street is 10X better. I will never go back. The food was phenominal. Our waiter was very attentive and had great suggestions. 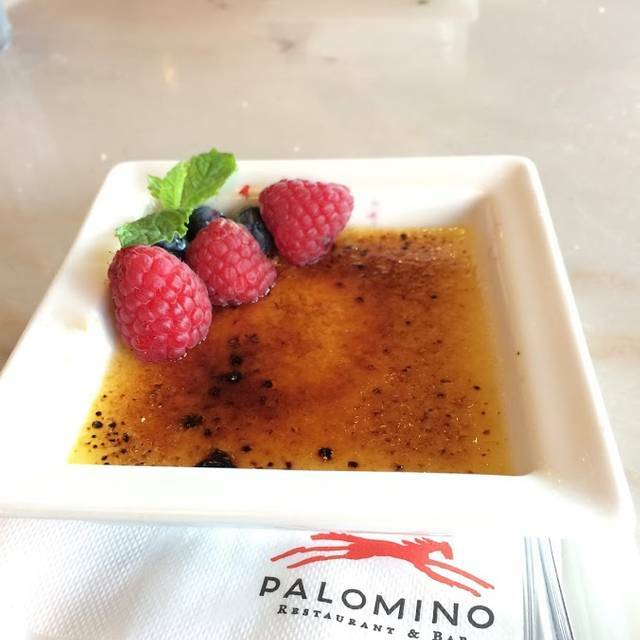 I would highly recommend Palomino! Exceptionally attentive wait staff, good street parking, spacious dining room with views of the Bay Bridge and Embarcadero walkway. 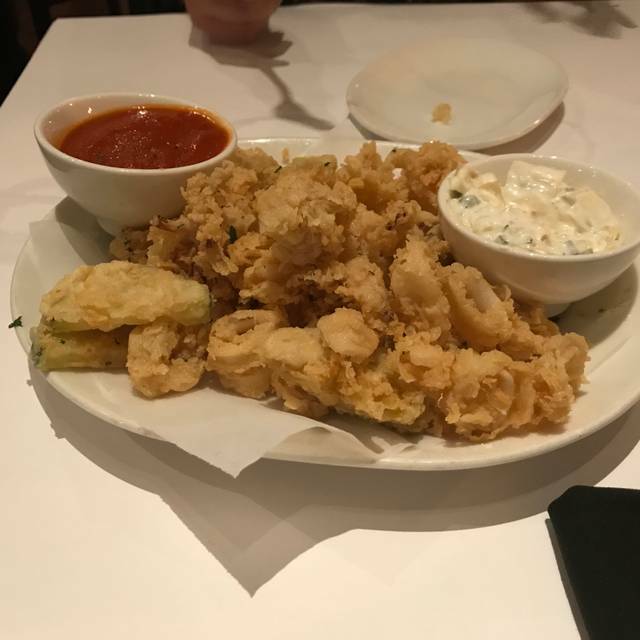 The food is not comparable to the best San Francisco Italian restaurants but it is good overall and the aforementioned attributes help make up for any shortcomings. Great food. Great service. Great location. The crab and artichoke dip was delicious and the Rigatoni Bolognese was epic! 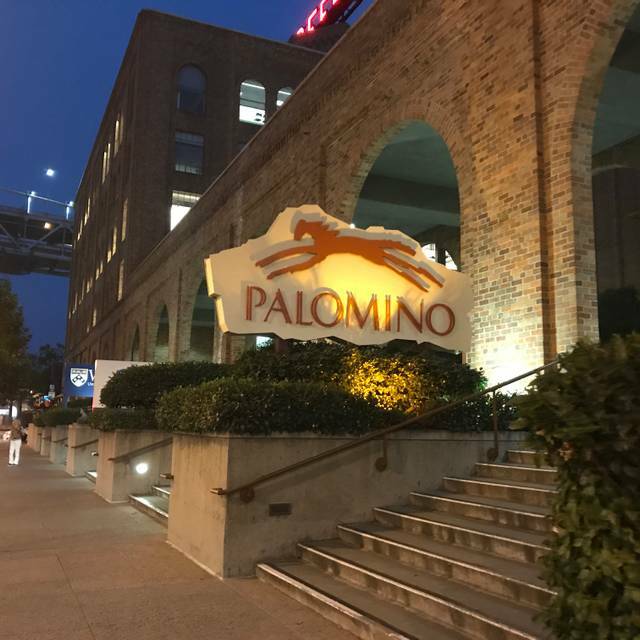 We had a disappointing experience at Palomino. It was my daughter's 18th birthday and I had recommended it to her based on my visits there in past years. It was a Sunday night and pretty empty. After being seated, 17 minutes passed and no one had come to take a drink order or greet our table. Finally sent my husband to ask for help and while he was doing that, a waiter showed up. The waiter was very nice and attentive the rest of the time, but that opening seemed to reflect the whole rest of the meal. 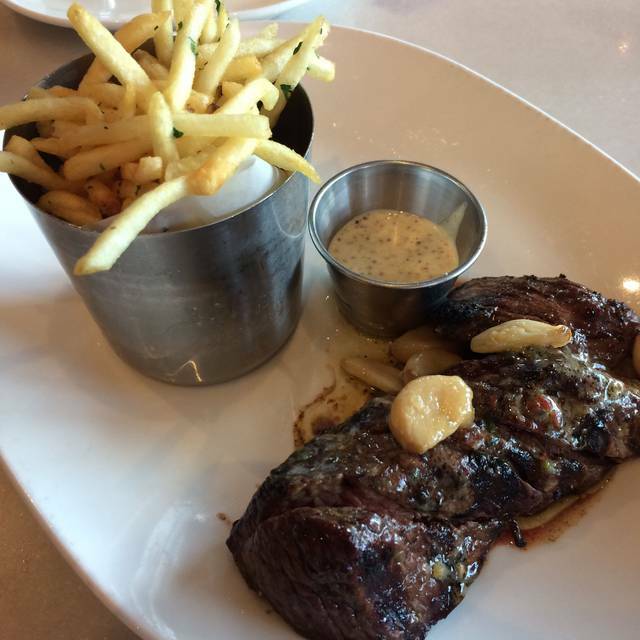 Hot appetizer was barely lukewarm, salads were soaked in dressing, the fries in the steak frites were not even lukewarm (though the steak was delicious). Nothing was terrible, but nothing was really good either. It was a huge letdown from the amazing food I had remembered having there in the past. I hope it was just an off night for them. I was here a few years back and enjoyed it very much. I went Sunday night, and was greatly disappointed from the very beginning. The menus we received were old and tattered, and the special menu I received was covered in tomato spots. I asked the waiter which fish was fresh, and he said if he was being totally honest, nothing was - it was all frozen. The caused three of our group to stay safe with pizza. Their caesar and chop chop salad was way over dressed and a soggy mess. Two in the group ordered steak and they were way under-done. I didn't return it because it was also tasteless and chewy. My dog is enjoying it now. The house margarita had no taste of tequila and they don't even use a margarita glass. All In all this was an embarrassing night for our guests and for me. 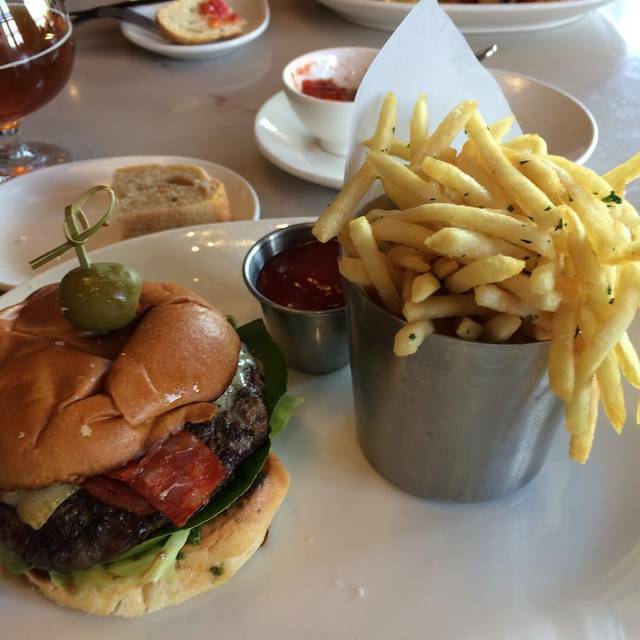 There are so many amazing restaurants in SF - don't waste your money here, unless its for a beer and French fries. The view of the bay bridge is spectacular. 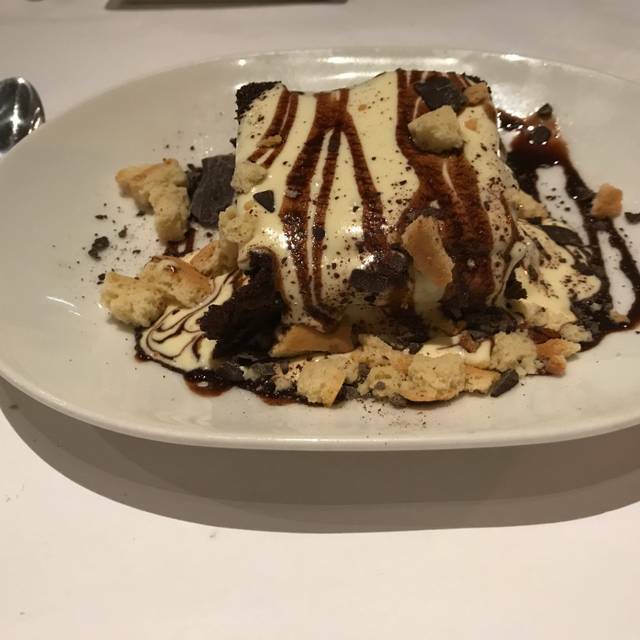 It was our first time at this restaurant and overall we enjoyed our experience very much from the service, the food, location and ambience. Over many years, we have had many wonderful dining experiences here, and not a single one less than terrific. The service is the best I've ever experienced - attentive but not intrusive. How do they do that? Prices reasonable. Food delicious. All of the above and fabulous views too! Try it! The food is always awesome. I love the scallops and Risotto. The ambience could easily be improved by dimming the lights. We were looking for an intimate business dinner and the lights were more like in a library. I was disappointed they only had one choice for Gelato. I enjoy the Palomino cards. It's like a fortune and makes a nice ice breaker. We had a nice dinner. The food was OK, service was very good and we liked the atmosphere. Dined on a Sunday night which was not busy. The entrees came out before the salad & appetizer, we requested that be sent back and that new entrees be served after we had the salad & appetizers. 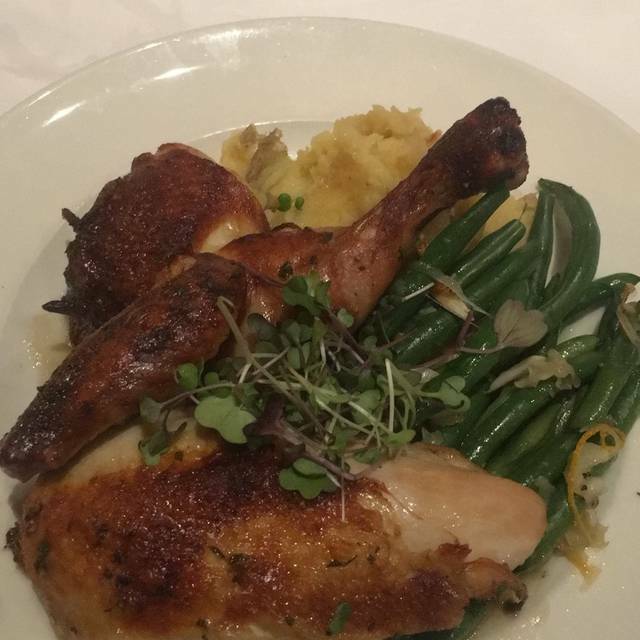 It was apparent, in our opinion, that the entrees were put under the heat lamp until we finished the salad & appetizer so they were obviously not as wonderful as they could have been. We had to ask for water refills, waited awhile for the check. I had looked forward to going here and now know that I don't need to return. Also noticed that the counter that they place the food on for the servers to pick up and deliver to your table is in the pathway that the hostess takes to diners to their table. I prefer to not have my food exposed to "passerbys" that maybe coughing or sneezing, very poor design. Great ambience for a family reunion. Used to be much better. I didn’t realize that reservations were not for happy hour. We had a group of 10+. The hostess told us we’d have to sit at the table and wait for a happy hour spot to open up. In the meantime we could go get our drinks at the bar and bring them back to the table. Our group decided to order food and I ordered a bottle of wine. We ended up moving to a better and bigger table in the dining area. It all worked out but the food was disappointing and most complained that the happy drinks were watered down. I’m so glad I ordered a bottle of wine. Palomino thinks they are a high end restaurant but they need a reality check. We’ll never go there again with a large group. Also teach your hosts some manners! Lunch at Palomino's was great. 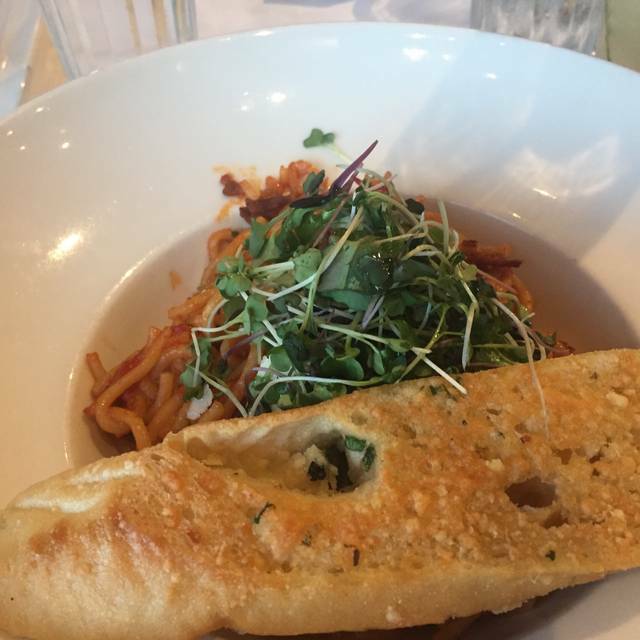 The food was delicious, the staff was very courteous and the view was outstanding. Definitely will return. we were very pleased with our lunch. a really expansive restaurant looking out to the bay. a bit further down from the embarcadero but a nice walk. nice brick building. very pleased! I'd wanted to eat here for over a decade - not sure if there was an owner or chef change or something, but it was not as nice as I'd expected. Great location, and the food was fine, but not extraordinary. Service a bit slow. I'd definitely go back for a drink if I was in the area, but not another special trip. The food served was at room temperature and not hot.